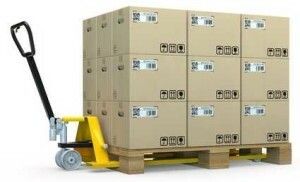 Our 20′ storage containers are rugged, heavy-duty conex boxes made of steel. They come with industry-standard weather-tight doors and all come in the standard exterior dimensions for 20′ cargo containers of 20′ x 8′ x 8′.6″. They are a popular choice among construction contractors and builders for temporary storage of tools, equipment and supplies at construction sites. 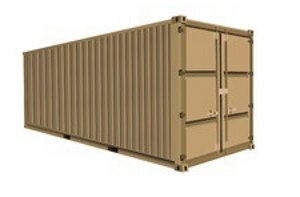 The 20′ shipping containers are highly mobile and provide superior ease-of-access. The bottom of all of our 20′ containers are lined with a 1 inch thick plank of wood facilitating ease of use when entering the container to store tools, materials, and other valued property. It also protects the bottom of the storage containers and can support a significant amount of weight, enhancing overall durability and prolonging the life of the storage container. The wood flooring in our 20′ storage containers is tough enough and smooth enough that pallet jacks can be used to transport heavy loaded pallets in and out of the storage container. The wood flooring also protects your equipment from metal-to-metal contact. The 20′ storage containers are highly suited for the storage and transportation of just about anything. Because of the highly portable nature of our 20′ storage containers they are perfect for temporary use at construction sites. Builders and contractors use 20′ storage containers at their job sites for the temporary storage of their tools, equipment and supplies. Combined with the highly secure aspect of all-steel storage containers, they are perfect for the temporary storage of valuable building materials, building tools and equipment. Because of the heavy-duty nature of our 20′ shipping containers, you can rest assured that your property is secure and protected. Builders and contractors repeatedly turn to 20′ storage containers at their job site for the temporary storage of tools, equipment and building materials.